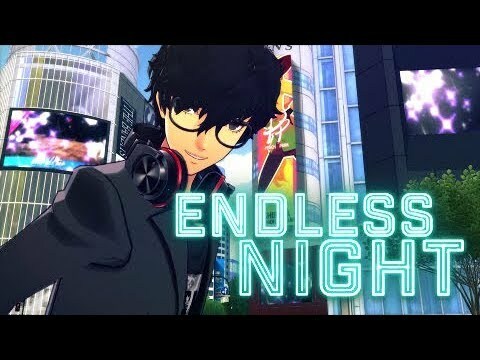 The Endless Night Collection is the definitive Persona Dancing experience! Get the Club Velvet VIP Treatment with the Persona Dancing: Endless Night Collection. Jam out to all your favorite Persona music with both Persona 3: Dancing in Moonlight and Persona 5: Dancing in Starlight in an exclusive collector’s box featuring character art by Shigenori Soejima. Also includes a digital download code for Persona 4: Dancing All Night for the PlayStation 4 – the only way to get P4D on PS4! Memorable Soundtrack – Return to the world of Persona 3, Persona 4 and Persona 5 and relive cherished memories with the games’ most memorable songs by Shoji Meguro, composed by Ryota Kozuka, as well as all-new remixes by KAIEN, Taku Takahashi, Jazztronik, tofubeats and heaps more! Unlock a total of 25 fan-favorite tracks! Dancing! – Choose from several difficulty levels and dance in a customizable rhythm game experience. Characters can tear up the dance floor with a partner by performing well during a song and entering “Fever” mode; try out some of your favorite character combinations! English and Japanese Voiceovers – Choose to listen to your favorite characters’ voices in either English or Japanese with dual audio options!